Kenton Cool: I think I have a pretty obsessive personality, it doesn’t matter what I’m doing! I’m tenacious. Once something’s been dangled in front of me I will move heaven and high water to achieve it. I came into climbing relatively late; I was 17 or so. Before that I was a hockey player. I’d train six times a week and sometimes play two matches a day at the weekend – I loved it. It was the same with climbing. I loved it and I loved the community. But yes I am quite obsessive, sometimes to my detriment. But then you had a terrible fall and smashed up both of your heels? And that didn’t inspire you to turn your obsession away from climbing? KC: No. I don’t often think about the accident (although I’m reminded of it everyday because my heels hurt still) but writing about it has made me think about it much more. 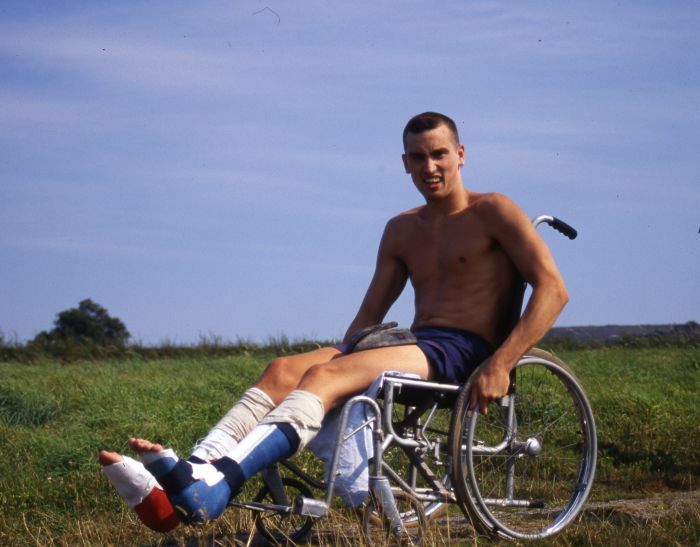 There was a moment when one of the first consultants told me I’d never walk properly again and never climb, and that just made me more determined. I think I wanted to prove everybody wrong. I’m a bit rude about that consultant in the book, but perhaps I should ring him up and say thank you, because in some strange reverse psychology way he gave me this career. Not a glittering highlight though, falling off that day! KC: I did some really horrible jobs. Like getting dressed up in a non-breathable rubber suit, going into a confined space with essentially breathing apparatus, to clean the insides of oil wells. They’re toxic environments: they’re hot, you’re sweaty, uncomfortable and essentially being paid a pittance. I did five weeks on an oil tanker on the equator, inside the tanks, and we’d lose so much fluid that we had to work two hours on, one hour off. But on the flip side it paid for a winter season in the Alps. I’ve got mixed emotions about those days – crap jobs, but fun times with fun people. It could be the worst job known to mankind, but if the team was good, if the people that you were working with had energy, it made it bearable. That’s a really important thing I learnt from those days. When you are building teams to go into the mountains you’ve got to bring together people who are going to enrich everybody’s lives. You don’t want the energy sappers, you don’t want the high maintenance individuals; you want to create teams that are all about fun. 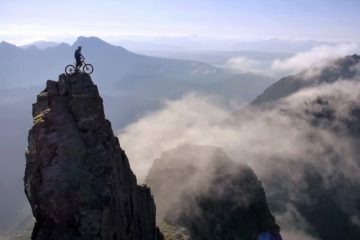 The mountains are dangerous; you don’t want any more stress. I learnt that pretty early on by working on some of these jobs. A significant expedition for you seems to have been a first ascent of a new route up Annapurna III in 2003? KC: Yes. It was a very tough trip. There were just three of us and it took us to some pretty dark places. Physically it was incredibly hard. 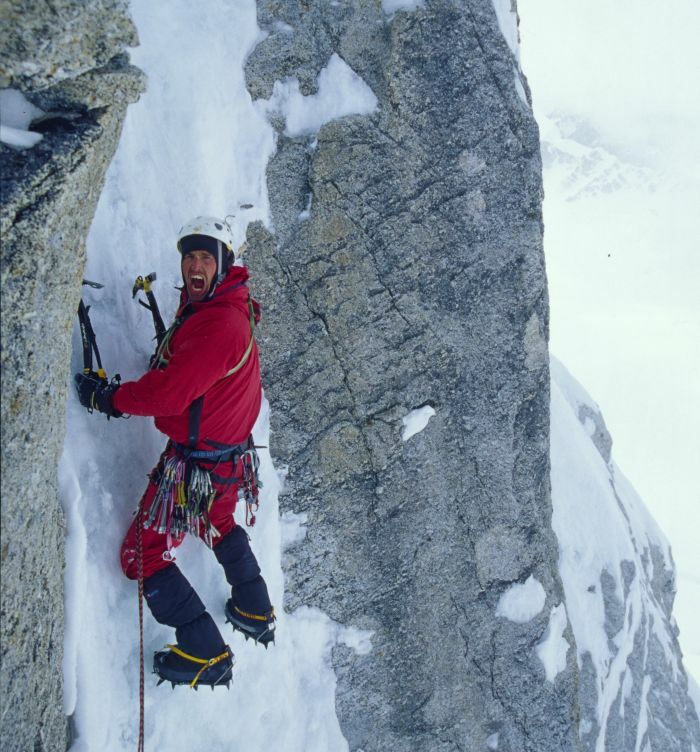 We owe it to Ian Parnell – his lead high on Annapurna was mesmerising. It was one of those days when I was thinking ‘please don’t let it be my lead,’ and he stepped up to the plate and despatched it beautifully. After that there was a bivvy where we thought John [Varco] was going to die. It’s still probably the pinnacle of what I’ve achieved in the Himalayas and not necessarily something I’d like to go back to, but I’m so glad we did it. It had an element of everything – dark times but amazing memories at the same time. That’s one of the things that mountains give us, a strange yin and yang. They test you but they give you a sense of freedom at the same time. I suppose 2003 represented the start of my career in a way. 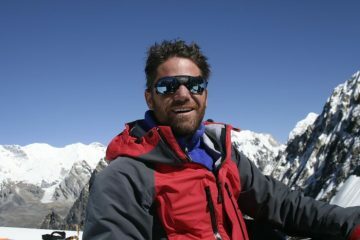 I was training as a guide by then, and my ‘celebrity guide’ status came on the back of my first Everest ascent, which was on the back of the Annapurna III expedition. At first you said you were never going to be a guide? KC: I also said I’d never write a book but I seem to have written one! I’m clearly full of crap. 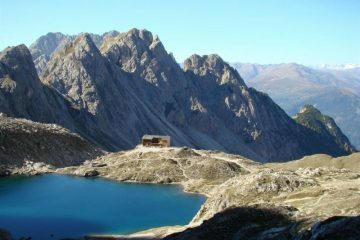 But yes, I said I’d never become a guide because I didn’t want it to take away my enjoyment of the mountains. Then I became a guide and my enjoyment levels were just as high. Now I live in the Cotswolds and don’t spend as much time in the mountains so when I go back, either working or for fun, my enjoyment levels are probably higher than they’ve ever been. I’d like to think I never took mountains for granted, but over my five or six years of living in Chamonix, maybe I did. I really cherish the times I have in the mountains these days. Do you enjoy seeing your clients do well too? KC: Without a doubt. I love being the facilitator of that. I like to think that if I weren’t a guide I’d be a schoolteacher (although my wife says I’d be rubbish). I think there’s a synergy between guiding and teaching – a lot of guides were once teachers. It would be fascinating to have that ability to influence the next generation. It’s a really underrated job, such an important job. How do your wife and two children feel about you being away so often, doing dangerous things? KC: They call themselves the three amigos when I’m not there and seem to get on quite well without me, which kind of hurts! I do question my selfishness when I go away. It’s easier to justify when it’s work, because that’s what daddy does for work. It’s harder to justify when I go away for fun: skiing for the week or even climbing for a day. I beat myself up, thinking ‘this is a day that I should have spent with the children.’ But it’s important to be honest with yourself. If I didn’t go out and do these things I think I’d be a miserable individual; I’d be a miserable father. Maybe I owe it to the family to go to the mountains and hopefully come back a slightly better person. 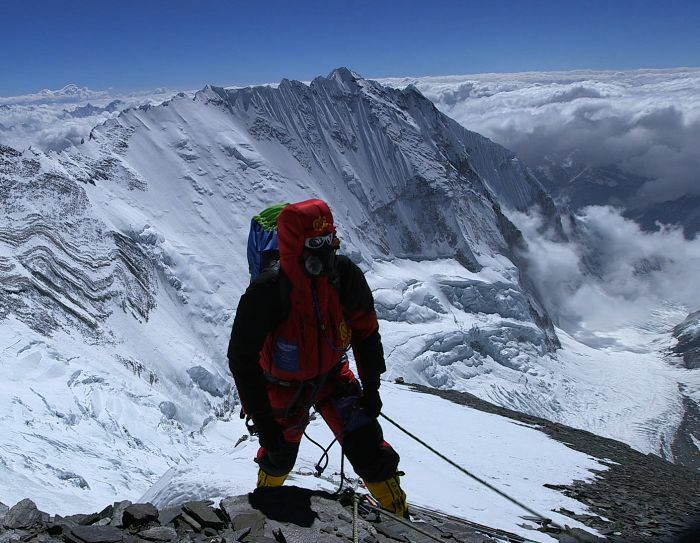 You’ve climbed Everest 11 times – are you a bit blasé about it now? 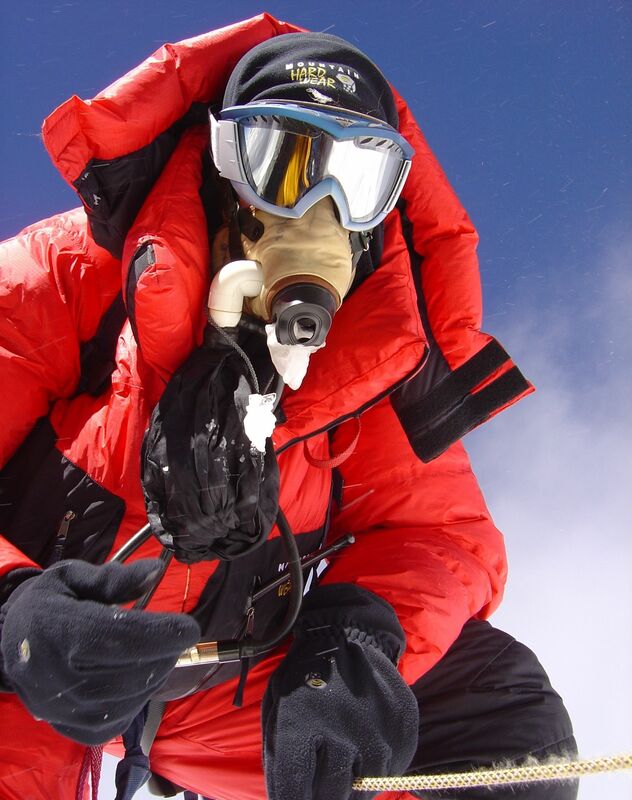 [EDIT] Kenton climbed Everest for the 12 time in 2016. KC: No. 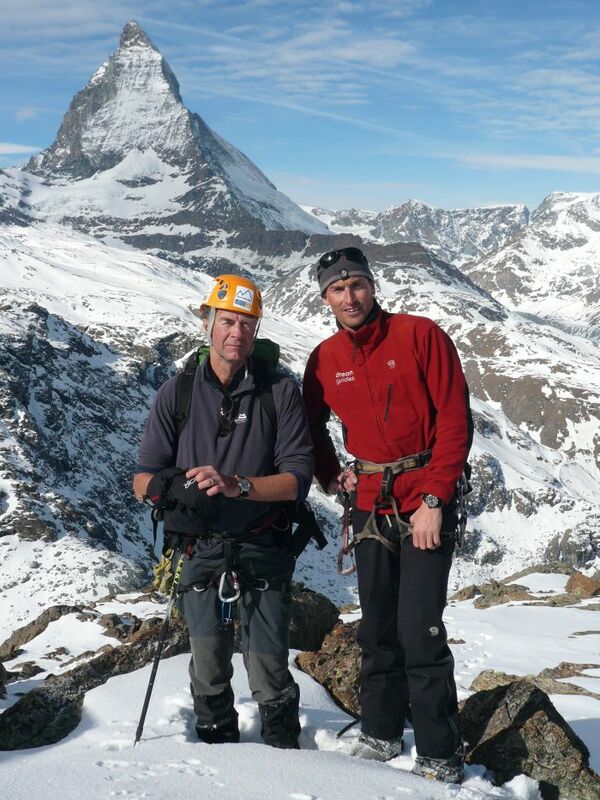 I’m really lucky, I once got screamed by [New Zealand mountaineer] Russel Brice at a party. He was trying to get me to work on the north side of Everest and I said I wasn’t really interested, because I liked the south side and had it ‘wired.’ Wired is a term climbers use meaning they’ve got it sorted out, they know what the next moves are. Russel slammed down his beer and shouted at me in the middle of this party, saying ‘the moment you think that, the mountain will turn around and bite you on the arse.’ It was really embarrassing but such amazing advice delivered in such the right way that I’ve always been on my toes. I don’t take Everest for granted. You’ve got to be so cautious. Anything above 8,000m is called the death zone, and it’s called that for a reason – there’s no safety net, no helicopter rescue, no international rescue as such – it’s one of the most hostile environments on the planet. The moment you take it for granted, it’s going to kill you. Each time I go I feel humble that I’m allowed to go there. I tread very lightly with the utmost respect. 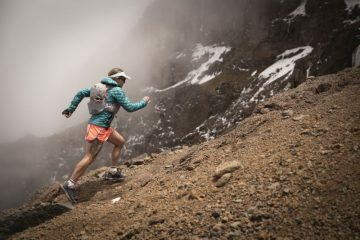 You’ve got to go fully armed, and for me that’s putting the hours in in the gym, or on the bike or in the mountains, then learning your trade, being experienced, and being ready for whatever Everest may throw at you, because she’s a wicked mistress at times. She’s lovely, and I love going there, but I’ve seen too much death in the mountains and I don’t want to die in the mountains. KC: Yes, there has been so much bad news: the fight [between European mountaineers and Sherpas in 2013], then last year’s avalanche, then the earthquake. There’s a lot of bad press about Everest and sometimes rightly so, but we don’t hear enough about the great things. I’m hoping the book celebrates Everest a little bit. Everest is brilliant. What saddens me about the mountain is that a lot of people think it’s a circus, certainly in the media, and it’s not like that. She doesn’t deserve that. She deserves to be celebrated, she’s beautiful. 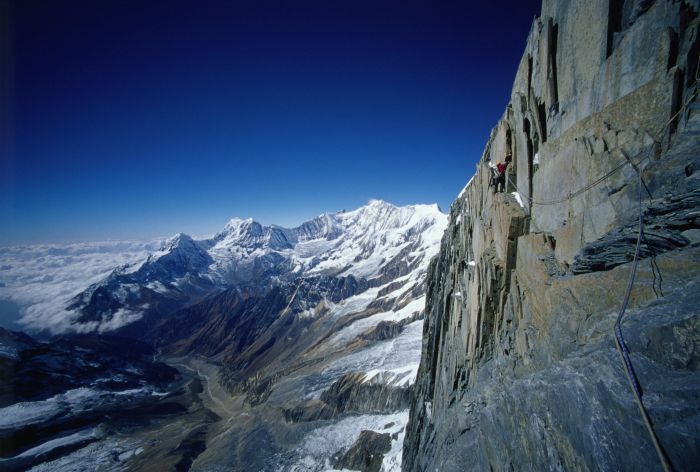 And it’s still a challenge, no matter what people say – it’s still a challenge to climb the bloody thing! That gets forgotten sometimes. People are brave to go there. They made the conscious decision to go there. And whether they have the experience or not, that’s one of the great things about mountaineering. 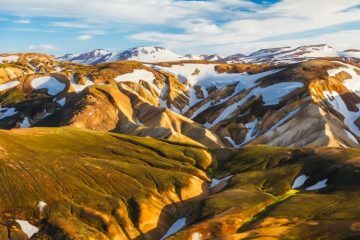 If you want to go the mountains you can – walking, climbing, whatever it is – there’s no hard or fast rules. You don’t have to have the experience – it’s sensible to, and I get upset by those who go to Everest without the experience – but if you want to go there, you can. It’s not like golf, where you’ve got all the rules and regulations, or tennis where you have to wear white – you can be yourself in the mountains. And that’s important. And will people stay away because of the earthquake? KC: They shouldn’t. Now more than ever people should go back to Nepal. They need tourists, badly – it’s the only industry they have. Go back there, spend your cash. 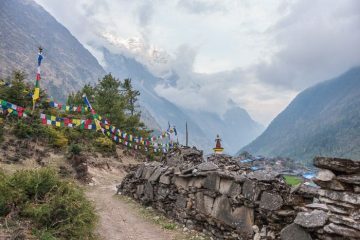 Trek to base camp, do some of the trekking peaks, whatever it is, go there, go there on holiday and have a fabulous time, and by doing so you’re helping the people of Nepal. Your new book is out now – did you enjoy writing it? KC: Writing a book has been cathartic on many levels. It’s been quite hard work and I’m petrified it’s going to be crap because I’m not a writer. People say everybody’s got a book inside them – but not everybody’s a writer. I’ve essentially written it myself and I feel slightly fraudulent to writers out there by looking like I think I can write, in the same way that I wouldn’t expect a writer to be able to pick up a pair of crampons and climb. It’s been quite the journey, this bloody book! Finally – you’ve got such an awesome name. Cool you can’t choose, but where did your folks get Kenton from? KC: They were avid fans of The Archers, there was a Kenton Archer and that’s where they first heard it! That’s a bit embarrassing actually. When I was at school my name was a bit of a pain because people would take the piss – kids would say, ‘so you think you’re a Cool kid do you?’ and then give me a punch. But now I’m older it’s great because people remember it, it’s my USP to a certain extent. Kenton Cool’s book One Man’s Everest (£20, hardback) is out now. See www.randomhouse.co.uk.